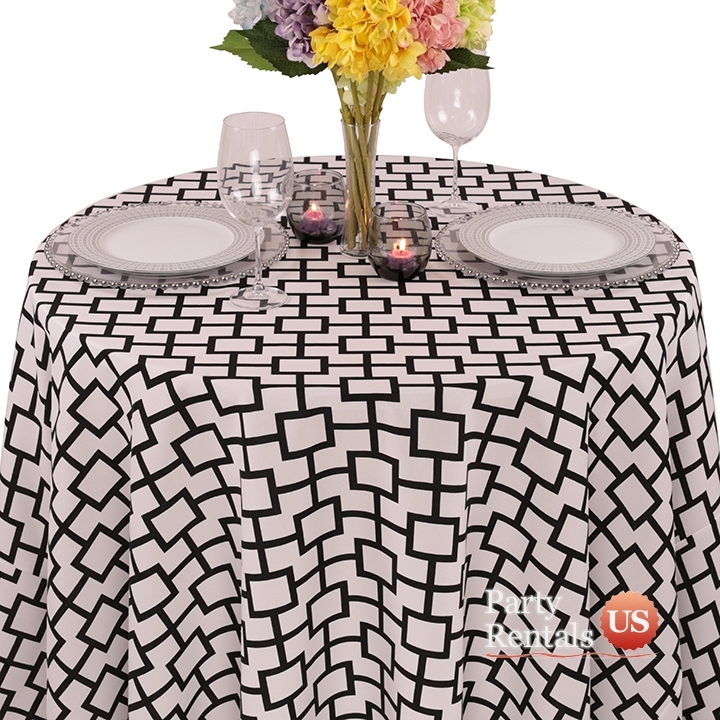 This geometric patterned tablecloth features squares. It is a contemporary design that offers a clean look. The material is a spun polyester, which means that it feels like cotton but without the wrinkling.